This handsome fellow and his owner passed me as I was walking down Guadalupe this morning. I caught up with them again at the 7-11 on MLK. The rig is a little wide - it took up the whole bike lane - and a little low - seems like the monster trucks around here could easily overlook it. It doesn't seem to have any lights. 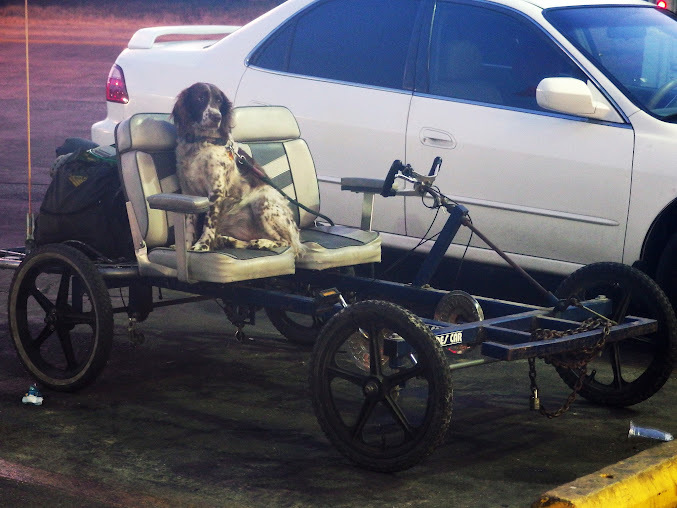 Still, the old spaniel seemed pretty content to be out cruisin'. Tiny embroidered animals. Is what.